INDUSTRY.co.id - Jakarta - After successfully holding the 2018 Asian Games, Indonesia once again won the trust to host the 2018 Asian Para Games international event. Indonesia 2018 Asian Para Games will take place on 6-13 October in Jakarta, with competition locations spread across Jakarta and West Java. Most of the activities will be centered on Gelora Bung Karno, namely the opening ceremony at the Main Stadium and also the archery, athletics, badminton, lawn bowls, shooting sports, swimming, volleyball and wheelchair basketball. As the leading digital telecommunication company in Indonesia, Indosat Ooredoo becomes an official sponsor by providing telecommunication facilities to athletes, officials and volunteers, in the form of IM3 Ooredoo starter packs for the 2018 Asian Para Games Indonesia special edition. This special edition starter card has credit benefits, data packages, and free phone user groups. 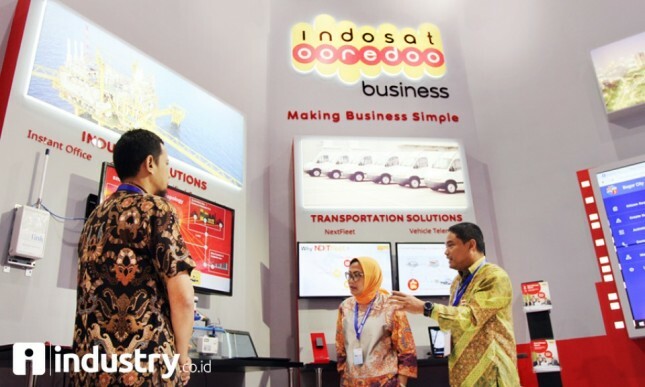 "Indosat Ooredoo is proud to be a part of the 2018 Asian Para Games event which is the biggest event in history. In accordance with the value of the international paralimpic movement, namely determination, determination, inspiration and equality, Indosat Ooredoo is committed to providing support to #Human Indonesia to be able to become an Asian Inspiration, "said Edi Riyanto, Head of Indosat Ooredoo Jabotabek Region. The 2018 Asian Games itself was held through 2 stages, namely the Test Event which was held on 28 June - 3 July 2018 where there were 13 participating countries with 5 sports contested. Meanwhile, the Main Event will be held on 6-13 October 2018 involving 3000 athletes from 43 participating countries with 18 sports contested. Indonesia hosted the 2018 Asian Para Games event after South Korea and the People's Republic of China hosted the event two years earlier.